Tending to your well-being isn’t a luxury, it’s a necessity. It’s preventive pampering. Tonic Remedies understands that when you walk through our door, you are in need of care. Choose from a wide range of nurturing modalities or let one of our therapists recommend one. All sessions include complimentary hot towel foot wraps, a glass of our healing house-made tonic water, and your choice of aromatherapy. Custom designed integrative session to meet your unique needs, utilizing light to firm pressures. Enjoy the calming and nurturing effects of Swedish-style, while incorporating gentle deeper pressures in areas that hold greater amounts of tension. Gentle and slow rhythmic massage to sooth mind and body utilizing light to medium pressures. Release and rejuvenate overworked and tight muscles with firm to deep pressures. Session includes the application of heat, and Ahhh muscle relief oil. To relax and refresh. Shoulders, head, neck, hands and feet. Fast relief to the areas which tend to hold tension. Relax and rejuvenate tired feet and legs. 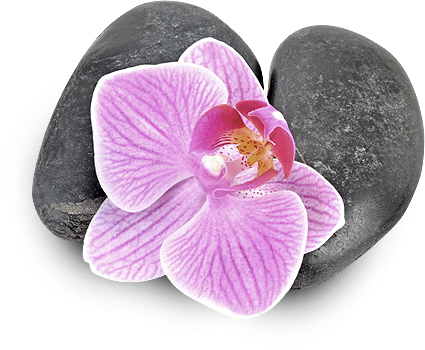 Leg and foot massage, heated stones and general reflexology points for the feet. * Gentle foot exfoliation and rich hydrating foot cream. Intended to deeply relax the body and lift the mind to states of joyful bliss. Enhanced with heated stones and essential oil infusion of your choice. Includes extended scalp and face massage, and gentle foot exfoliation with rich hydrating foot cream, and general reflexology points for feet and hands*. A Massage and a fantastic lunch! Replenish mind and body receiving a 40 minute bodywork session of your choice. Nourish your body with your choice of Verandah's special lunch menu! Relaxation and tension relief tailored to meet the need of the expecting mother. Two sessions in the same room, side-by-side, performed by two massage therapists. Pricing determined on services chosen at the per-person rates. Exclusively for guests staying at the Mayton Inn. Turn your hotel room into your own private peaceful oasis! Many of Tonic’s 70-100 minute sessions are available for In-Guest Room Service. In Guest Room services require an additional 30 minutes to all massage services in order for set up and take down of table and supplies. * General reflexology points, included in some sessions or as an additional add-on service, are of general reflexology intention. Tonic Massage Therapists do not treat nor diagnose any illness or disease. Sessions are not therapeutic diagnostic reflexology treatments. ** Aromatherapy and Essential Oils from our local NC supplier: Loving Scents, Greensboro, NC.